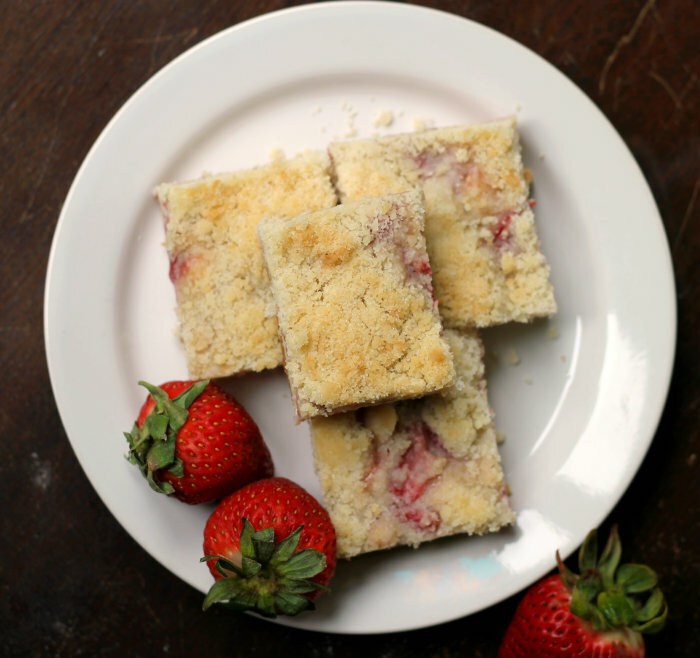 Cheesecake and crumb bar in one…what a great combination! These bars look amazing dear Dawn! I love all with strawberries! Oh my goodness! These look amazing! 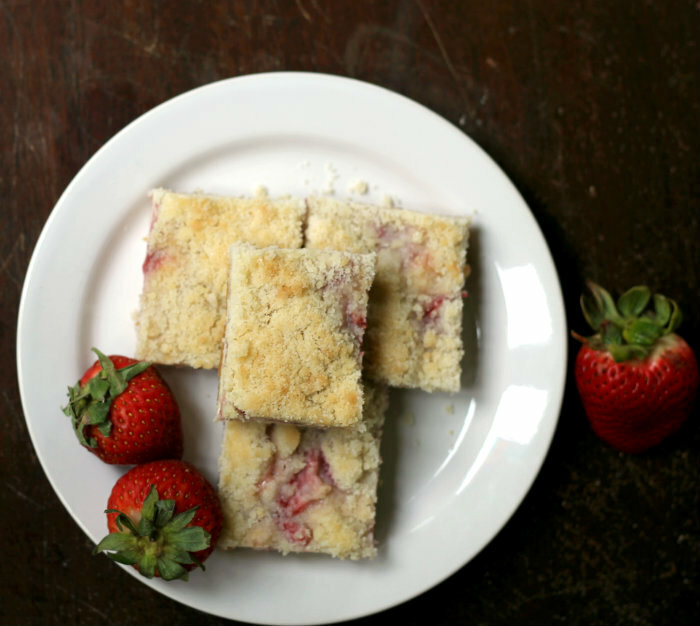 Thank you so much for sharing (I LOVE anything that involves strawberries and cheesecake!). We rarely get fresh strawberries here, so I am always stuck with grocery store ones…but they’re still tasty! 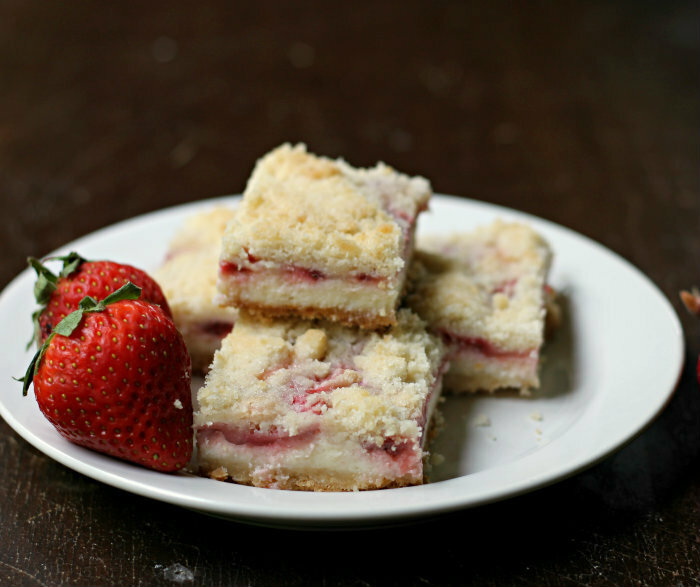 Definitely need to get these bars into my life…the combination of pie and cheesecake just sounds too good not to! The name alone has my taste buds going! They look insanely delicious Dawn! 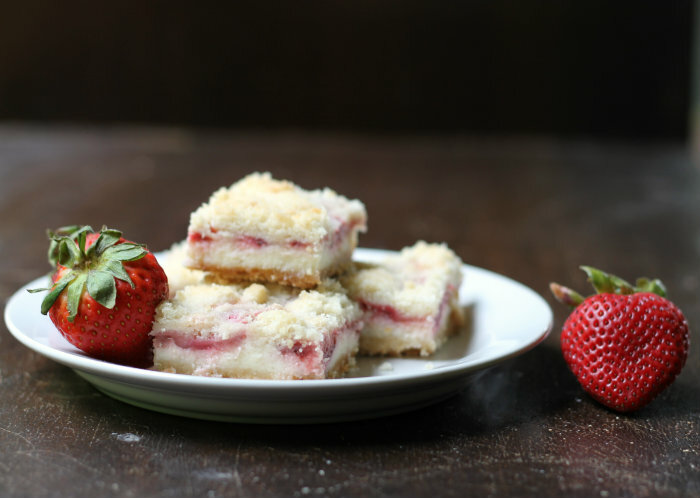 Cheesecake and strawberries are so good together. These look amazing, Dawn! Perfect spring treat!